Bunratty Castle is a large tower house in County Clare, Ireland. 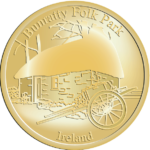 It lies in the center of Bunratty village, by the N18 road between Limerick and Ennis, near Shannon Town and its airport. 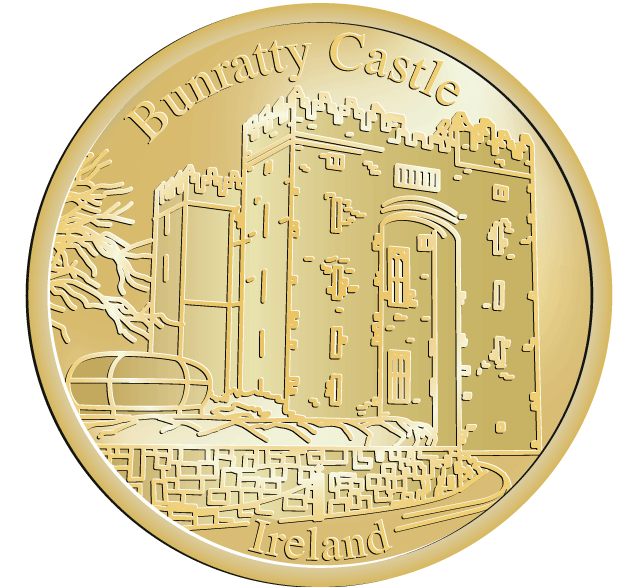 The name Bunratty, Bun Raite in Irish, means the ‘bottom’ or end of the ‘Ratty’ river. This river, alongside the castle, flows into the nearby Shannon estuary. From the top of the castle, one can look over to the estuary.Alongside the castle is an extensive folk park, particularly popular with families, tourists and schools. This features reconstructions of historical cottages and buildings, recreating the general feel of the 19th century with a period style village main street. Old tools, furniture and artifacts are displayed, with the village kept alive by some inhabited shops, an old home bakery and peat fires in cottages. Today it is a major tourist attraction along with the castle as it sees thousands of people pass through its gates every year.